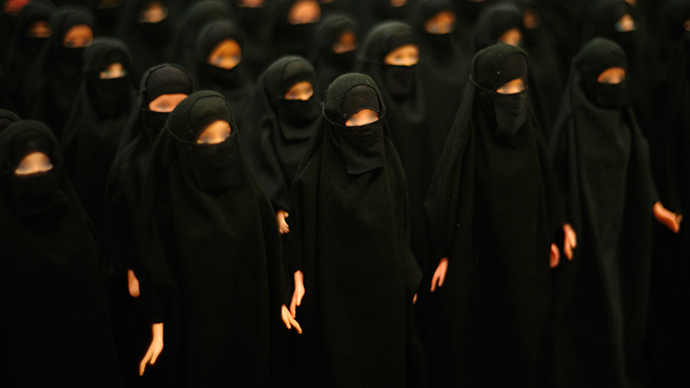 A £25 faceless doll – which goes along with a strict interpretation of Islam that forbids the depiction of faces – has sparked backlash among some Muslims after it was launched in Britain by a former teacher. Hijab-clad Romeisa – named after a follower of Mohammed who personally knew him – was conceived by Ridhwana B., a former Muslim school teacher in the north of England. “I came up with the idea from scratch after speaking to some parents who were a little concerned about dolls with facial features,” Ridhwana, who did not wish to reveal her last name, told the Lancashire Telegraph. Like other founders of religions, Mohammed instructed his disciples to avoid making idols. For moderate Muslims, this simply means not bowing down to representations of competing religious representations. But a particularly pious interpretation states that Muslims must not depict any living object, a belief known as aniconism. “There is an Islamic ruling which forbids the depiction of facial features of any kind and that includes pictures, sculptures and, in this case, dolls. I spoke to a religious scholar in Leicester who guided me through what was and what was not permissible when producing the product,” said Ridwhana. Other similar dolls have earned a small share of the Muslim toy market, though Romeisa is thought to be the first UK-designed representative of a resurgent trend among Western Muslims, for highly-formal Islamic worship. “In early Islamic history imagery was not preferred for a variety of reasons. But the debate is, how far do you go now? The overwhelming majority of Muslims are living 21st century lifestyles, things have not been frozen from the 6th century,” he told the Daily Mail. Nonetheless, Ridhwana says she has already received multiple orders for the doll.